A space to document the insights and thoughts on my travelling journey.... Let the journey begin! A warm welcome to all my readers! Winter is finally here and the cold is starting to get to us with each passing day. It was at this point that my husband and I decided to venture to somewhere warmer for a short holiday. Googling “warmest place in Europe during the winter” led us to Lisbon. It was perfect! We have heard so many wonderful stories about Lisbon from our friends and now is the best chance to head there! 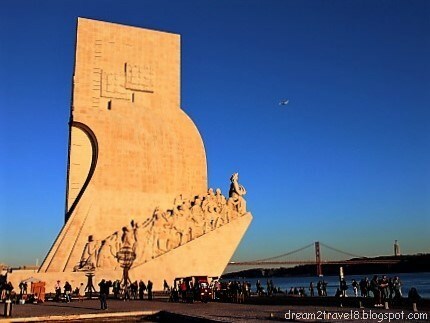 When we touched down in Lisbon, we heaved a sigh of relief as we were greeted with a cheery and sunny weather - we could finally take a break from the gloomy winter weathers! 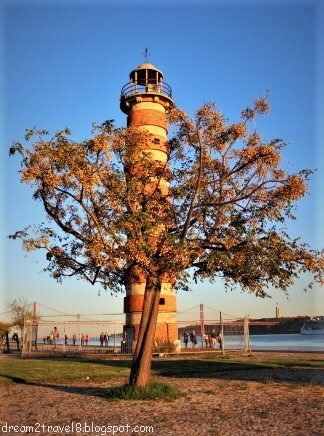 Lisbon, to us, is a city with lots of photographic hot spots! The balanced mix of traditional facade with modernised architecture had without fail made the landscape of Lisbon much more mesmerising! Many of its iconic structures have also been shown to withstand the trial of time and still looked as fascinating as ever. The main highlight for this travel is a day trip to Sintra, a beautiful town which is just a 40 minutes train ride from Lisbon. 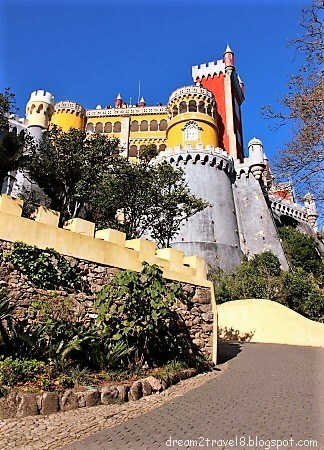 Interestingly, Sintra was never part of this trip’s itinerary as my husband and I had just wanted to spend a quiet and relaxing weekends exploring Lisbon. 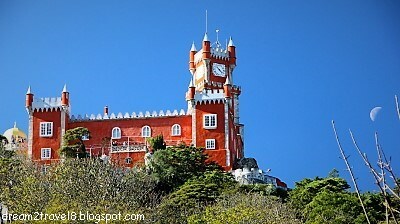 However, just a day prior to our departure, we came across several websites that strongly recommended a trip to Sintra. We were so glad that we decided to heed their advice despite the tight schedule as Sintra offered a glimpse of another facade of the Portuguese charm! The trip to Sintra was relatively simple and straightforward. We started off the day by taking the morning train from Rossio station to Sintra station (the final stop). Once we arrived at Sintra, we joined the queue for bus 434 which offers a one-directional loop starting from the train station through to the town (where the National Palace and Quinta da Regaleir are located) and then to the hills (where the Pena Palace and Moors Castle are located) before arriving back at the train station. We got the single loop ticket and were allowed to hop on and hop off the bus three times during the day. This bus route through the hilly Sintra has definitely made it easier for us to visit the sites more efficiently! Due to time constraints, we had to be selective about which sites to explore. We decided to invest more time at Palacio da Pena (or Pena Palace) and Quinta da Regaleira. After buying our admission tickets at the entrance, we had to climb up a short slope to reach Pena Palace. Even before entering the palace, we could tell that it was quite different from the other palaces that we had visited before. The colourful and striking mix of bright yellow and red, decorative fortification walls and elegant design made it seemed like it belonged in the fairytale world! There were many instagram-worthy spots in all corners of the palace and it was certainly a joy to just forget about everything and immerse in the beauty of the palace! 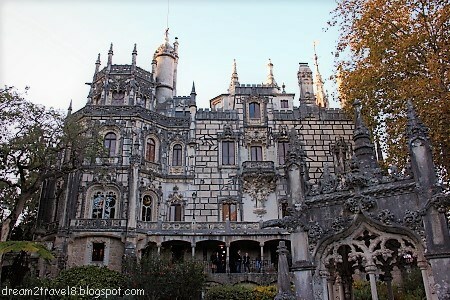 After exploring Pena Palace, we took bus 434 to the town followed by a short walk to Quinta da Regaleira. It is an UNESCO site that encompasses the Regaleira Palace, the Regaleira Chapel and a park with an extensive system of tunnels, wells, lakes and fountains within its boundaries. One can certainly spend the entire day here just wandering about the different areas of this site! I was particularly drawn to the initiation well (or inverted towers) and cannot help but marvel at the design of it. The view, be it from the top of the well to the bottom or vice versa, was certainly spectacular and one can only be in awe by the amount of details and thoughts placed into the design of the well as one walks through the spiral stairway of the well! 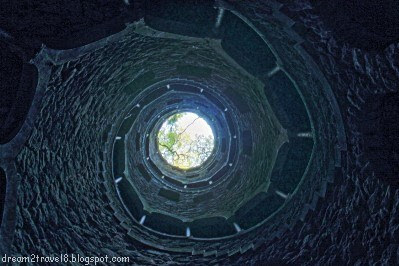 The initiation well as seen from the bottom of the well.. It was a weekend well spent in Lisbon and Sintra and we were glad to be able to be able to experience the warmth (in terms of the weather, the cheery monuments, food as well as hospitality of the locals) in the midst of this gloomy and cold winter period. We will certainly be back to explore more of the Portuguese landscape in the future! I'm glad you had a great time there! It’s so good to read you had an exceptional experience out there . Nice blog post . Your photos are lovely! I will have to add these locations to my travel list. Hi there! Thanks for reading and I am glad that you enjoyed the photos! Hope that you will enjoy exploring Lisbon + Sintra as much as I did when you travel there! I am going inter railing in the summer, Lisbon looks great I might have to add it to my list! That palace looks absolutely gorgeous. Lisbon wasn't on my list of places I would like to go but I think it should be now! Hi! Thanks for reading and I am glad that you enjoyed the photos! Hi Doreen,thanks for reading :) Hope you will like exploring Portugal as much as i did! I visited both Lisbon and Sintra as a teenager, one of the first trips I did as an adult without my family, a long long time ago. Beautiful places both, as you say very photogenic. 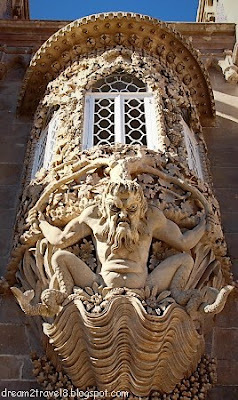 Hi Kavey, thanks for reading and hope my post has rekindled the lovely memories that you had of Lisbon and Sintra! Portugal was not very high up on my bucket list, but your post has certainly shed light on the amazing sights and sounds available in Sintra which is in the vicinity of Lisbon. I would love to check it out for myself and take in the great architectural designs in person. Sintra is our kind of place and we hope we get there. The place looks so enchanting with an old world charm that seems to take you into another time in history. It has an almost fairy tale kind of ambience. The Pena Palace looks like one of the castles that you read about in books. I really loved the window decoration, it is is magnificent. Hi Sandy and Vyjay, welcome back and thanks for reading :) Sintra is indeed one of its kind in terms of the charming landscape that it offers! Should I travel by plane, train, bus or.....? Guided tours or free-and-easy style of travelling? What does travelling mean to you at different stages of your life?